Heaven is for Real was up two spots from Monday to move into first place on Tuesday with $2.44 million. Sony's low-budget faith-based drama was down just 2 percent from Monday. Heaven is for Real continues to exceed expectations with an impressive seven-day start of $34.48 million and with the exception of Monday's hold, continues to display strong initial holding power. Heaven is for Real is currently running 17 percent ahead of the $29.46 million seven-day take of 2010's The Last Song. Disney's Captain America: The Winter Soldier held steady in second with $2.21 million. 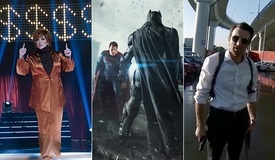 The blockbuster 3D superhero sequel from Marvel was down 15 percent from Monday and down 53 percent from last Tuesday. Captain America: The Winter Soldier has grossed $205.30 million through 19 days and is set to surpass the $206.36 million final domestic gross of last year's Thor: The Dark World today. The Winter Soldier is currently running 20 percent ahead of the $171.22 million 19-day take of The Dark World. 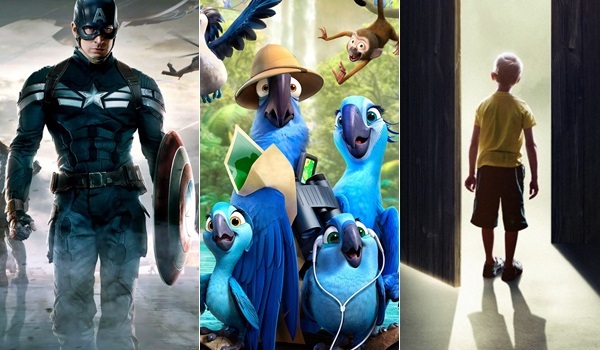 Fox's Rio 2 fell two spots from Monday to land in third place on Tuesday with $1.93 million. 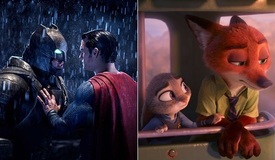 The 3D computer animated sequel from Blue Sky Studios was down 28 percent from Monday's inflated post-Easter performance and down 55 percent from last Tuesday. Rio 2 has grossed a very solid $79.65 million through twelve days of release. 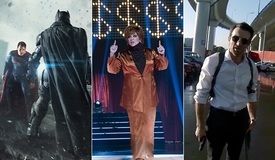 That places the film 7 percent behind the $86.06 million twelve-day take of 2011's Rio. Warner's Transcendence grossed $1.03 million to remain in fourth. 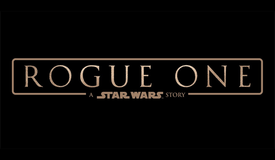 The pricey sci-fi film starring Johnny Depp was up an encouraging 4 percent over Monday, but still continues to perform very poorly in the bigger picture, especially with its price tag in mind. Transcendence has grossed just $12.92 million in its first five days of release, which places it 7 percent behind the $13.85 million five-day start of 2007's Grindhouse. Bears experienced a strong boost from Earth Day, as the latest nature documentary from Disneynature was up 42 percent and one spot from Monday to claim fifth with $0.931 million. Despite yesterday's performance, Bears is still performing a bit below expectations with a five-day take of $6.36 million. 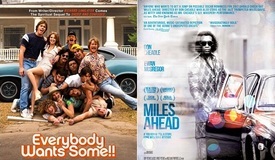 That places the film 12 percent behind the $7.21 million five-day start of 2011's African Cats. Open Road's A Haunted House 2 was down one spot and 8 percent from Monday to finish in sixth with $0.615 million. The low-budget horror comedy sequel starring Marlon Wayans has grossed an underwhelming $10.12 million in five days, placing it 49.5 percent behind the $20.05 million five-day take of last year's A Haunted House.